Your Top 10 Wii U games revealed! Back in May of this year we asked you, the Nintendo UK fanbase, one simple question: what is your favourite Wii U game? Nearly 2,000 of you took to Twitter to let us know, and we were overwhelmed by the sheer variety of responses. There were no rules; you could vote for any game you liked as long as it was on Wii U. Indeed, the resulting Top 20 includes some great third party games like Ubisoft's Rayman Legends and ZombiU as well as a significant number of votes for indie sensation Affordable Space Adventures. For now, though, we'd like to concentrate on the Top 10. Below you'll find the ten most popular Wii U games according to the UK gaming public, along with some of our favourite fan tweets explaing why. Enjoy! He can’t jump and he doesn’t really swim properly but that hasn’t stopped unlikely hero Captain Toad from starring in one of the most popular platform games on Wii U. Inventive puzzles and unique perspective trickery have made Captain Toad: Treasure Tracker a big hit with Wii U fans. PlatinumGames’ Wii U debut remains one of the most original games on the console. Featuring 100 unique heroes – who you can control all at the same time! – this OTT action game is every bit as challenging as it is crazy. So my #WiiU #PlayOn was splat on! #Splatoon is incredible fun and wonderfully slick and looking forward to months / years of splatting! Several years after its Nintendo GameCube debut, the Pikmin series finally returned on Wii U, following fervent fan demand, and it seems you weren’t disappointed! Classic strategy gameplay and sumptious HD visuals make Pikmin 3 a firm Wii U favourite. My favourite game to #PlayOn my #WiiU is Super Mario 3D World! Playing with my friends is the best! Meeeow. When it was first released on Nintendo GameCube, The Legend of Zelda: The Wind Waker’s vibrant and expressive toon visuals made it one of the most original games of the generation. In HD, on Wii U, it got a new lease of life as the definitive edition of a fondly remembered Zelda classic. If this list proves anything it’s that you sure do love The Legend of Zelda, and you can’t cram much more Zelda goodness into a game than you’ll find in Hyrule Warriors! With a wealth of playable characters and hour upon hour of gameplay, Hyrule Warriors is an essential action game for Zelda fanatics. 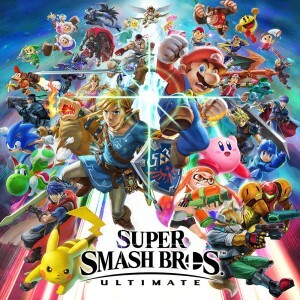 Over 50 classic Nintendo characters collide in Super Smash Bros. for Wii U – a fighting game so popular it’s found a home at both professional tournaments and on crowded couches full of friends and family. With more DLC characters still to come, we think it will remain a permanent fixture of both. Maybe it’s because it’s the first Mario Kart in HD. Maybe it’s the ever-active online racing community. Is it the unbelievably fast new 200cc mode? Or the huge number of courses? Maybe it’s the Blue Shell destroying Super Horn. 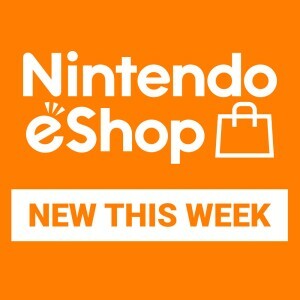 Perhaps it’s the wealth of DLC featuring, for the first time in Mario Kart history, characters and tracks from other Nintendo games like The Legend of Zelda and F-Zero. Maybe it’s the catchy orchestral soundtrack. Is it the topsy turvey antigravity racing? What about the unbridled joy of racing through new tracks like Mount Wario or Sunshine Airport? Or maybe it’s just the simple fact that Mario Kart’s multiplayer mayhem remains as fun as it always has been. Whatever the reason – and there are clearly many – Mario Kart 8 is your favourite game on Wii U so far. Thanks to everyone who took the time to tell us their favourite Wii U game. 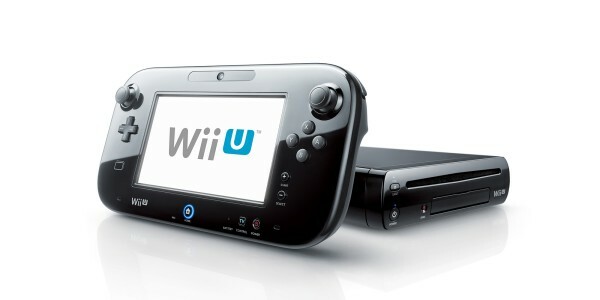 We hope you’re continuing to enjoy Wii U, whatever your choice. Play on!